Can Saudi Arabia’s Crown Prince Survive the Khashoggi Murder? Modern Saudi Arabia has only twice witnessed the ouster of its king. King Saud, the son and first successor of the country’s founder, was forced out peacefully, in 1964, but his departure was six years in the making. King Faisal, who orchestrated the coup against Saud and succeeded him, was assassinated eleven years later, by a nephew. 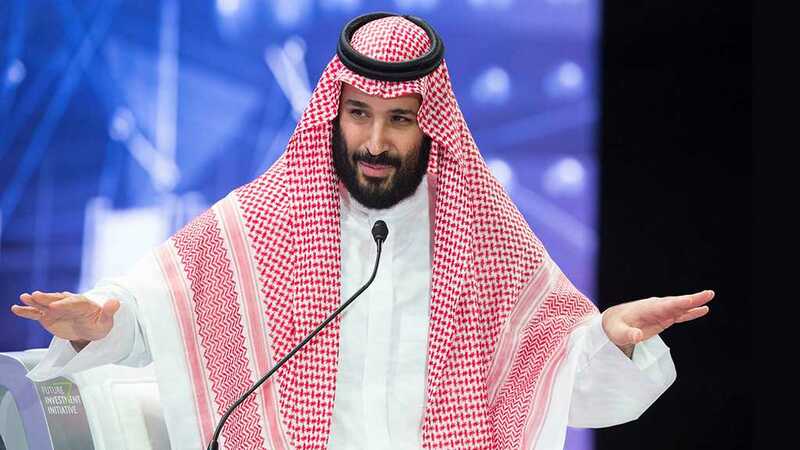 (Three months later, the nephew was beheaded, by a sword with a golden hilt, as a crowd shouted, “God is great.”) Both upheavals linger in the public memory as questions grow about Saudi Arabia’s current de-facto leader and crown prince, Mohammed bin Salman, and his role in the murder of the journalist Jamal Khashoggi. Several of the henchmen involved in the murder of the Washington Post columnist, which took place at the Saudi Consulate in Istanbul, were part of Prince Mohammed’s inner circle or security entourage. 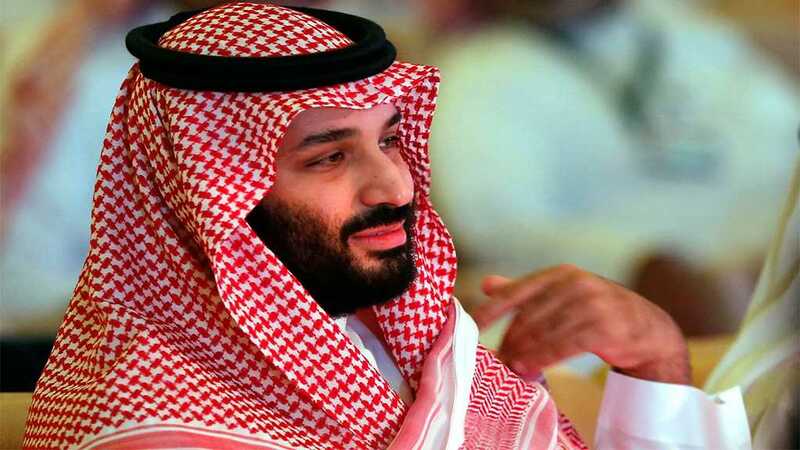 MBS, as the prince is widely known, has been widely implicated, directly or indirectly. “Yes, I think he did it,” Senator Bob Corker, the chair of the Senate Foreign Relations Committee, told CNN. On Tuesday, the President of Turkey, Recep Tayyip Erdo?an, charged that some of the “highest ranking” Saudi officials were involved in the killing. “From the person who gave the order to the person who carried it out, they must all be brought to account,” he told the Turkish parliament. Finally, on Thursday—after two weeks of claiming that the Saudi journalist had exited the consulate alive, and then claiming that he had been accidentally murdered in a “rogue” rendition—Saudi officials reversed course yet again and conceded that “new information” gleaned in a joint investigation with Turkey had confirmed that the murder was, indeed, premeditated. 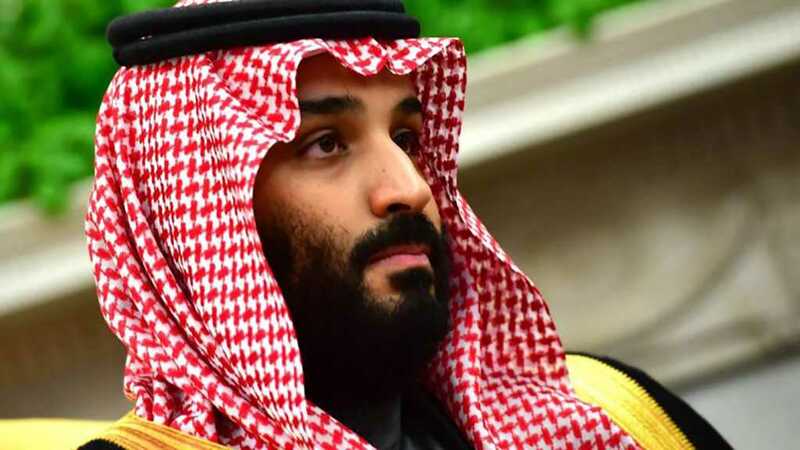 There are at least four potential scenarios for how all this will play out for MBS, Saudis and Middle East experts contend. The first centers on the royal family’s response. In 1975, after King Faisal’s murder, the then governor of Riyadh, Prince Salman, was reportedly the only royal in a crowd of some ten thousand to witness the execution of the young assassin. (The assassin’s head was displayed on a stake for a time, before being removed for burial, the Times reported.) That same Salman is now king; MBS is his son and political heir. Before the murder, MBS seemed widely popular among young Saudis, because he provided release valves in the kingdom’s rigid social mores—opening movie theatres, allowing women to drive, and reining in the morality police. Opposition often played out over human rights or on sectarian grounds, fueled by the isolation and repression of the minority Shiite population. Judging public sentiment in Saudi Arabia is difficult, however, as it is one of the most impenetrable societies on earth and has no independent public polling. A second scenario is that MBS is replaced as crown prince. There is precedent for this. Since King Salman came to power, three years ago, he has twice dismissed a crown prince: Prince Muqrin, one of the last of the generation sired by the kingdom’s founder, was pushed aside in 2015. Prince Nayef, the former Minister of the Interior and a close US ally on counterterrorism, was forced out in 2017—to make space for MBS Nayef is still under virtual house arrest. The crown prince’s ouster is perhaps possible, but it’s not yet probable. It would take a decision by the king to turn against his favorite son. And, as Senator Corker told CNN, King Salman “is not particularly coherent.” The king is now in his early eighties and has purportedly been ailing in the last few years, possibly with a mild form of dementia. That is one reason that MBS has been able to swiftly consolidate all the wings of political, military, and economic power under his own office. The House of Saud today is also vastly larger than it was during its first two painful transitions of power, decades ago. The royal family is sprawling. Ibn Saud, the founder, had more than forty sons and even more daughters. Saud, his son, had more than a hundred children. The family now has thousands of members. Partly because of its size—and the imminent transition from the first generation of brothers to some of their sons—the late King Abdullah announced, in 2006, the creation of an Allegiance Council. It currently includes only thirty-five senior princes. The king alone used to name his crown prince. Now the council is empowered to vote on his candidate. Few on the Allegiance Council opted to vote against MBS when he was appointed, last year. 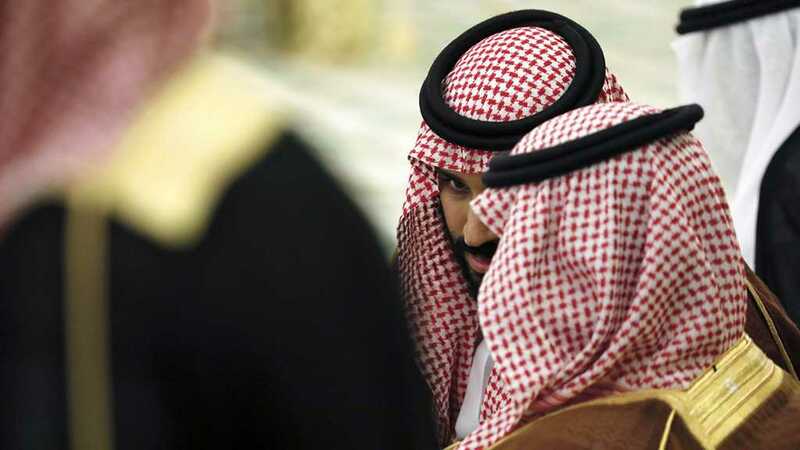 Royals have grumbled to me in the past over MBS’s increasingly repressive ways, but few have been willing to challenge him as he has consolidated power. Few Saudis dare to publicly challenge the powerful crown prince for fear of retribution. “Most of the public who are not happy with MBS are happy with the pressure on him from outside the country,” a Saudi academic, who asked not to be identified because he has family in the kingdom, told me. “They don’t want to become a victim by going public and facing a crackdown.” Chaos in other parts of the Middle East—in Syria, Libya, Yemen, and Iraq—has also been a reality check on the public thinking. “Someone from outside the system could make it collapse, and they don’t want to see instability like elsewhere in the region,” he told me. The fourth scenario is what happened to Faisal—someone targets him physically. It seems, by far, the least likely. Whatever happens to MBS will have sweeping consequences. It could shape the future of the desert kingdom for many decades; he is only thirty-three. It will influence the immediate Gulf region, notably Saudi Arabia’s open-ended war in Yemen on its southern border (launched in 2015) and its blockade of Qatar to the east (started in 2017). Each was a brainchild of the crown prince. His fate will play out in the wider Middle East, too, given Prince Mohammed’s heavy-handed foreign policy in Lebanon, Egypt, and Syria. And it will have a rippling impact worldwide, given that Saudi Arabia is the world’s largest oil exporter and the largest reservoir for future oil supplies. Dozens of countries depend on it for energy and fuel. The impact of Jamal Khashoggi’s murder is only beginning to be felt. WP: Saudi Arabia Admits Khashoggi’s Murder Was Premeditated. Fine. Who Premeditated It? Saudi Arabia once again changed its story about Jamal Khashoggi, admitting on Thursday he was the victim of a premeditated murder and not, as it said less than a week earlier, the accidental casualty of a “brawl.” But that doesn’t mean the regime of King Salman and Crown Prince Mohammed bin Salman has finally chosen to come clean about the Oct. 2 death of the Post contributing columnist. Rather, it merely reflects Saudi acceptance of the reality that the previous official version, like the one before it and the one before that, wouldn’t fly with the Turkish president, the US Congress, European governments and possibly even the Trump administration, which has been doing its best to assist the damage control operation in Riyadh. For 17 days, let’s not forget, the Saudi government insisted it knew for a fact that Mr. Khashoggi had walked out of the Saudi Consulate in Istanbul shortly after arriving. While the new story is closer to the truth, it still leaves fundamental questions unanswered: Who ordered the hit on the journalist, and what role did Mohammed bin Salman play? The crown prince’s fingerprints are all over the available public evidence. 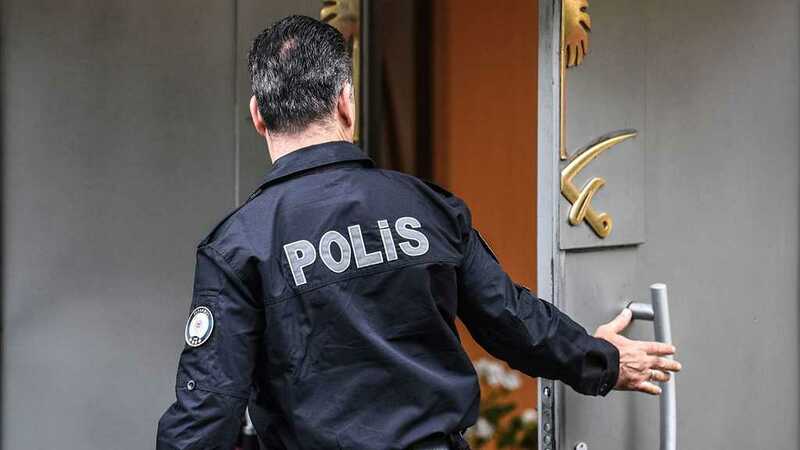 Five probable members of his personal security detail have been identified among the 15-member team that reportedly traveled to Istanbul to assault Mr. Khashoggi inside the consulate. Two of the crown prince’s closest aides, including the keeper of his enemies list and the deputy chief of Saudi intelligence, are among the officials whose firings were announced last week. US intelligence intercepts show that Mohammed bin Salman was intent on silencing Mr. Khashoggi, who frequently, if gently, criticized him, by bringing the journalist back to the kingdom. How that impulse evolved into a murder plot isn’t likely to be disclosed in the absence of an independent international investigation. The Saudi regime remains intent on protecting the crown prince, who cynically gave a speech on Wednesday calling the murder a “heinous crime,” after staging a cruel and creepy photo op in which he offered condolences to one of Mr. Khashoggi’s sons. In adopting the phrase premeditated murder, Riyadh merely conformed with the public demand of Turkish President Recep Tayyip Erdogan, in the hope he will respond by suppressing some of the evidence he controls. That evidence reportedly includes an audiotape on which can be heard Mr. Khashoggi’s torture, murder and dismemberment. What Mr. Trump should really want is the truth. If Mohammed bin Salman in fact oversaw or sanctioned the brutal butchering of a journalist who was little more than a mild critic, the administration urgently needs to alter its relationship with him — or risk even worse disasters. Just as it takes a village to raise a child, so it takes a network of enablers to empower a tyrant. While domestically the Saudi government’s capital is fear, abroad it’s cash and the influence it brings. Not content with Khashoggi’s murder, Mohammed bin Salman dragged one of the journalist’s sons before the cameras to set up some good optics for the royal family. With new details of his father’s brutal death and dismemberment reaching his ears daily, it is hard to imagine what kind of pressure, what kind of threat, compelled him to shake the hands of his father’s murderers. 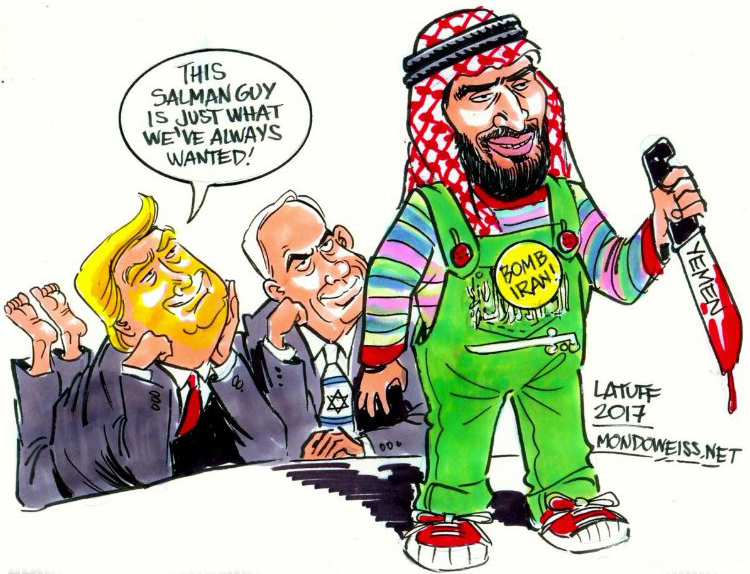 But over the last three weeks, it is not just Bin Salman’s ruthlessness that has come fully to light – it is also his extended lattice of external courtesans, who have lobbied for him, polished his image, turned in thought criminals and covered his tracks. There are the lobbyists who slickly blend in to spheres of influence, working for neutral-sounding “think-tanks”, where they are “fellows” and “researchers”. One of their most dedicated, who has, even in the mire of recent events, managed to find something for which to praise the Saudi royal family, is Ali Shihabi. An ex-banker and novelist, he heads the Arabia Foundation, a think-tank that is basically a lobby group that promotes brand Saudi in the United States. Shihabi thinks prison in Saudi Arabia is “quite benign” compared to the “dungeons of the Middle East”, and that MBS has “balls”, but is still young and needs guidance. There are the public relations companies that prepare press releases, place advertising and work hand in glove with the lobbyists, offering them up for interviews and panel discussions. Four years ago, a London-based PR company approached me with an offer of access to Saudi interviewees on the back of a Saudi campaign to window-dress its human rights record. They offered up a Saudi minister and Dr. Abdulaziz Sager, “chair of the Gulf Research Center, an independent think-tank ranked second in the Middle East by the Global Go-to-Think Tanks Index Report”, and a “member on the advisory board of the Arab Thought Foundation”. The Guardian did, in the end, publish my opinion on the effort, which called it a rebrand that “is fooling no one”. This paper did not take up the offers to interview the Saudi representatives, but for the rest of that week they were on BBC Newsnight and CNN’s Amanpour. Then there are the management consultants who prepare what appear to be anodyne reports, which are in fact used to silence dissent. Last week the New York Times reported that McKinsey had conducted a survey for the Saudi government that identified negative responses to its economic policies on social media. Some of those critics identified were then arrested. McKinsey is, of course, “horrified”, unable to believe or anticipate that a report commissioned by a regime with a poor human rights record requesting that social media be searched for government criticism could be misused in any way. It’s not only political impunity that empowers a regime like the Saudi one: it is also the knowledge that any crime can be covered up if enough money is thrown at it. Is it any wonder, then, that the whole Khashoggi operation was conducted with such staggering incompetence? A macabre Four Lions crew of assassins used their real names and passports, left a CCTV trail across the city, and tried to use a body double with a fake beard and the wrong shoes. To become accustomed to a world where no action begets consequence, where the Saudi royal family is not only a sovereign at home but a sort of super-sovereign globally, is to become lazy. If there is nothing that cannot be purchased, via arms deals, lucrative lobbying and PR contracts and hefty investments in private businesses, there will inevitably come a point when even a human life has a price. Filed under: Erdogan, MBS, Saudia, Trump, Turkey, USA | Tagged: Khashoggi's Killing, Washington Post |	Comments Off on Can Saudi Arabia’s Crown Prince Survive the Khashoggi Murder? WP: Saudi Arabia Admits Khashoggi’s Murder Was Premeditated. Fine. Who Premeditated It? Government-backed Saudi Arabian media outlets are trying to portray the disappearance of prominent journalist Jamal Khashoggi as a “conspiracy” targeting the kingdom. Saudi Arabia and its allies broke off diplomatic ties with Qatar last year. The Saudi media has been leading a smear campaign against the emirate since the diplomatic crisis broke out. The Post, where the Saudi journalist would maintain a column, is privately owned by American billionaire Jeff Bezos. Another Okaz piece claimed in an item titled, “Who Liberated Khashoggi?” that the critic was a “terrorist sympathizer,” whose sectarian goals were designed to destabilize the Saudi government. The feature suggested that Khashoggi’s disappearance equaled “liberation,” since he had been “kidnapped” by “extremist groups” while living abroad in self-imposed exile. The Saudi Gazette wrote that any fears about Khashoggi’s disappearance had to be blamed on Qatar, not Saudi Arabia. CCTV footage has shown entry into the consulate in Istanbul by 15 Saudis on the same day of Khashoggi’s disappearance. The Post reported earlier this week that Saudi Crown Prince Mohammed bin Salman had personally ordered an “operation” against critic, which would see him lured back to the kingdom and arrested. The Turkish government has informed US officials it has audio and video recordings that prove that Saudi journalist Jamal Khashoggi was killed inside Saudi Consulate in Istanbul, according to a report by the Washington Post. The video and audio recording reportedly show that Saudi Consulate security team detained Jamal Khashoggi after he entered the building on October 2 to obtain some documents for his upcoming wedding, and then killed him and dismembered his body. 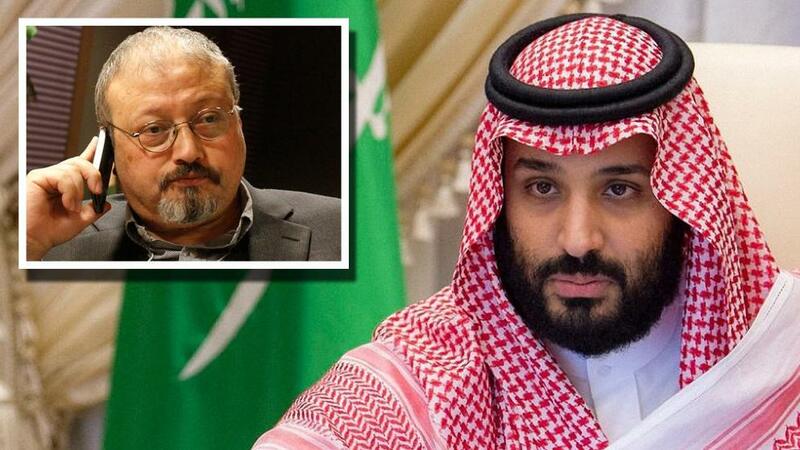 According to US and Turkish officials cited by the Washington Post, the audio recordings in particular provide “persuasive and gruesome” evidence that the Saudi security is responsible for the journalist’s death. “The voice recording from inside the embassy lays out what happened to Jamal after he entered,” said one source with knowledge of the recording. The other person quoted by Washington Post says the recording proves Khashoggi was beaten by the Saudis. The existence of these recordings explain why Turkish officials were so fast to accuse Saudis of killing the journalists, the newspaper reads. However, Ankara is reluctant to release these recordings as it would reveal the ways Turkish intelligence spies upon foreign nations on its soil, the source said. Jamal Khashoggi, a contributor to the Washington Post, known for his criticism of Saudi King Salman and Crown Prince Mohammed, has been missing since October 2 after allegedly visiting the Saudi consulate in Istanbul to acquire documentation for his upcoming marriage. 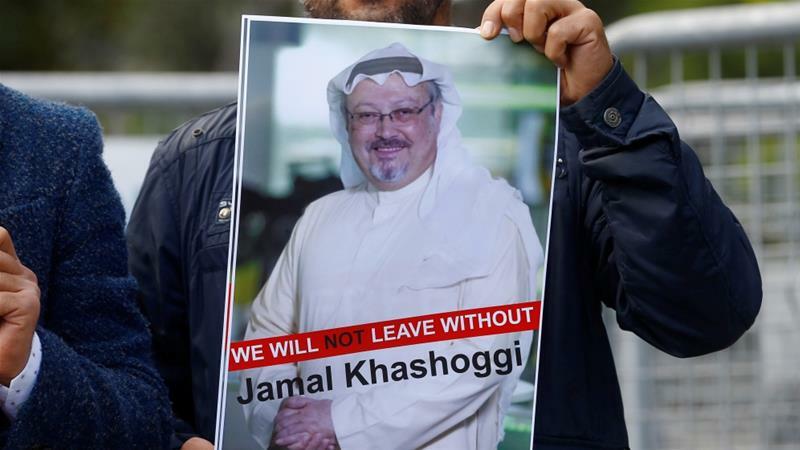 The Saudis denied allegations that the journalist has been captured or murdered and insisted he left the building later the same day. In the meantime, media companies are pulling out of Saudi investment conference over the growing outrage of Khashoggi disappearance, Reuters reported Thursday. Journalists and executives of various major media companies, including New York Times, CNBC, Economist and Viacom have already announced their decision not to attend the event. The Financial Times reportedly announced it is reviewing its involvement as a media partner. Saudi Crown Prince Mohammed bin Salman personally ordered an “operation” against Jamal Khoshoggi, which would see him lured back to the kingdom and arrested, The Washington Post reported. The Saudi dissident’s fate remains shrouded in mystery, with several reports indicating that he has been either killed or kidnapped at the consulate by 15 Saudi operatives — among them bin Salman’s elite close protection unit — who had arrived in Istanbul on the same day only to leave Turkish soil hours later.